Employ pouring, painting and stamping techniques while using all the tools that will instantly get you creating your own captivating, vibrant Alcohol Ink paintings. All supplies needed are included in the *$45.00 starter kit. All substrates are included in the workshop fee, so you'll leave with your own ready to display masterpieces. Scroll down to see material list. 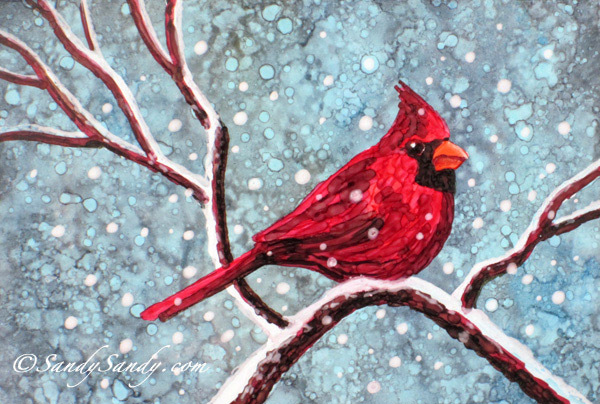 "EARLY BIRD SIGN-UP EXTENDED UNTIL Midnight - Thursday 11-12-15. *Early Bird Price includes all instruction, substrates and lunch! *Early Bird Price includes all instruction, substrates and lunches! Please bring your own sketchbook or notebook, extra brushes and paper towels. 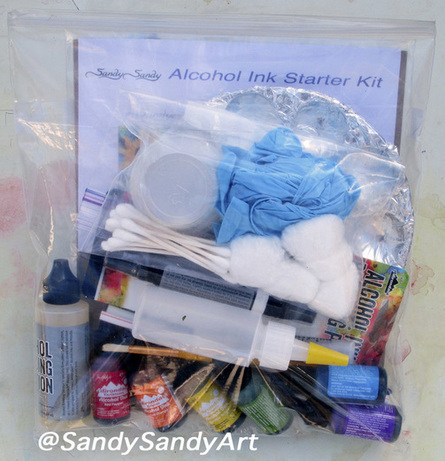 *Alcohol inks and supplies will be available at the workshop for purchase at discount prices. Interested in a different workshop or class? 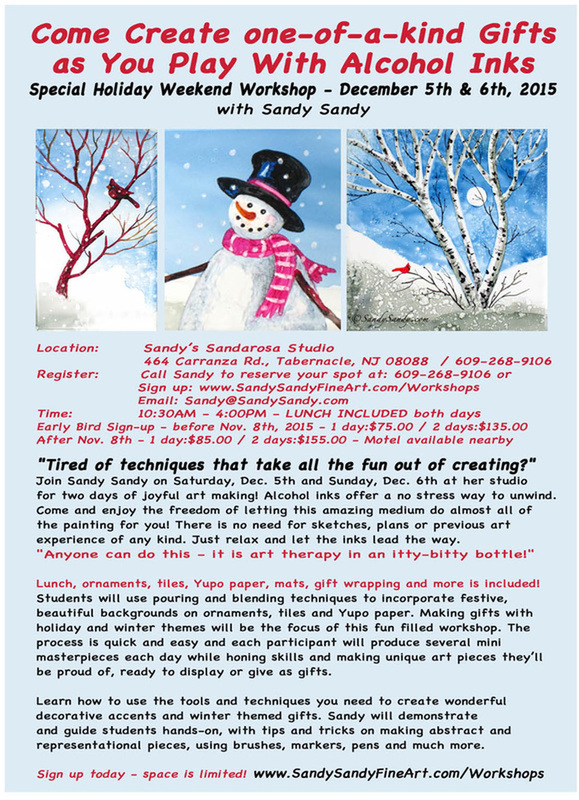 email Sandy@Sand﻿ySand﻿y.com or call 609.268.9106.